The National Audit Office (NAO) has today (Thursday 17 May 2018) published a damning report on NHS England’s management of their primary care support services contract with Capita. The full version of which can be found here. 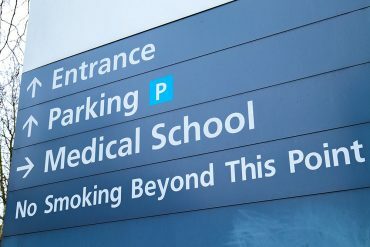 According to the report, the work required, as part of many NHS contracts awarded to private companies, has been much more complex than initially assumed and, in particular, the transfer of the Primary Care Support England (PCSE) contract to Capita in 2016 has caused untold disruption for all primary healthcare providers who were opposed to the “massive cost-cutting” exercise in the first place. A Capita spokesperson has accepted that they did not fully understand the complexity of the services they were agreeing to deliver when the contract was signed. In 2017 the Corporate and Commercial team at Thompson Smith and Puxon (TSP) was rated Top Tier in Essex by the Legal 500, one of only two firms in Essex and the only firm in Colchester to be given the top recommendation in this Practice area. TSP’s Corporate and Commercial team is, according to the Legal 500, particularly experienced in the healthcare sector, advising on NHS contracts as well as pilot schemes, partnership arrangements and business disposals. Claire Powell, who they describe as ‘thorough, knowledgeable and responsive’, specialises in advising GP practices and healthcare franchise work. Nick Mayles, who is also recommended, has specialist expertise in the sale, acquisition, merger and internal arrangements of dental practices.